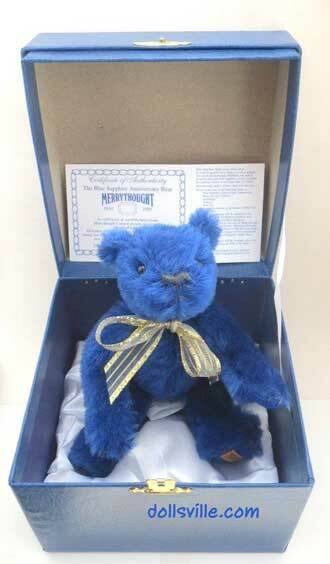 HAND-SIGNED USA Exclusive Merrythought Gold Mohair Teddy. 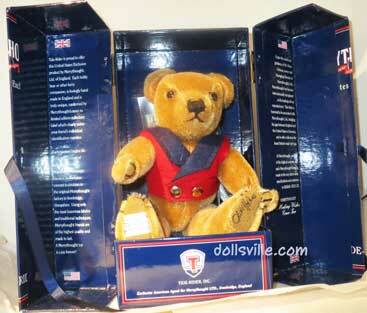 This Edwardian Bear looks dashing in his red and blue trimmed vest with two gold buttons. He stands 8" tall, and is fully jointed and comes in an illustrated presentation box. 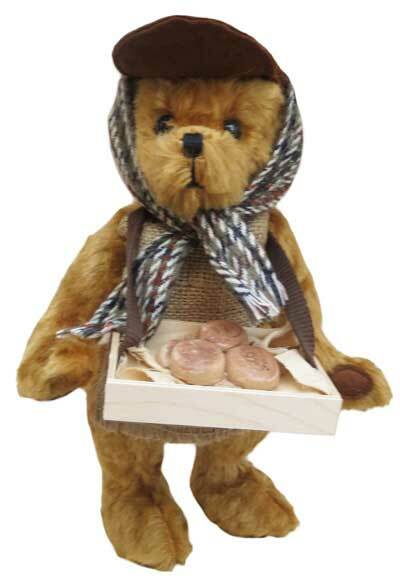 He has hand-stitched claws and nose, in the distinctive Merrythought style. Hand-signed on his left foot paw-pad by Oliver Holmes. His right foot paw-pad has the silk "Exclusively for TideRider" Merrythought label. 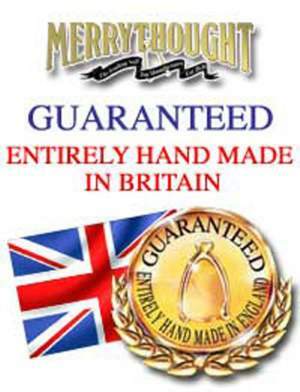 Treasured by children and adults across the globe, all Merrythought teddy bears are handmade using the finest materials and craftsmanship. 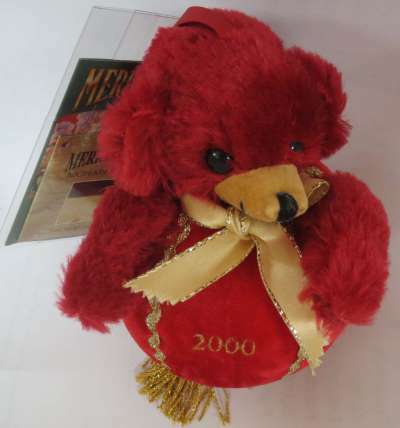 This means that nothing compares to a Merrythought - each bear has a unique character and superior quality that can last a lifetime. 100% pure mohair, made in the same way that they always were. 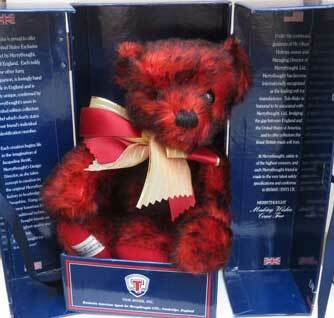 This fully jointed bear is made from the finest English mohair and is approximately 8" tall.